iWorld connect, one of the leading Apple Authorized Reseller and Service Provider, a prominent division of Almoayyed International Group has organized contests for its customers & visitors during Bahrain National Day in Seef Mall, Muharraq. The theme followed during the contest was “Express your passion for Bahrain”. The contests were football tournament and creating a video using Apple Apps and devices. The event was a great success with a significant number of participants. Winners were awarded with valuable Apple prizes. About iWorld connect: “iWorld connect is a leading Apple Authorized Reseller, Apple Authorized Service Provider & System Integrator in the Kingdom of Bahrain. Established in 1986 under the name of Apple Centre, and rebranded in 2013, it has three decades of Experience in system integration and providing professional services in Bahrain. 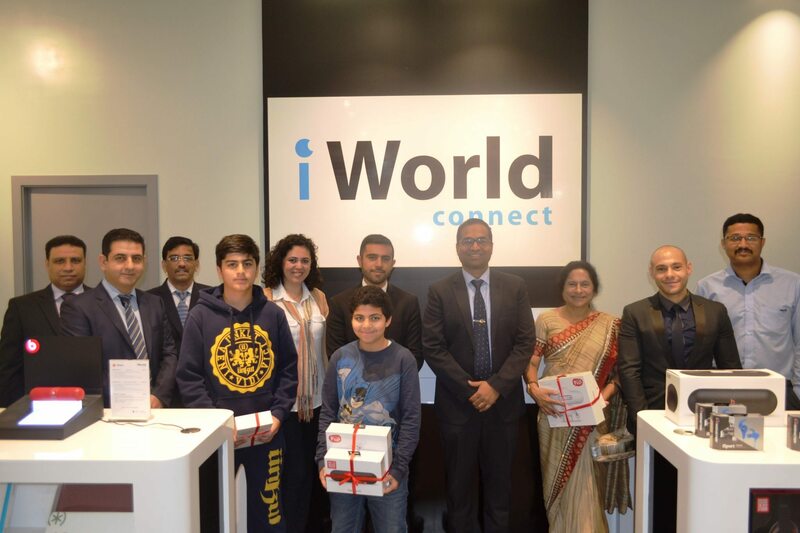 iWorld connect holds very strong satisfied customer base in the Kingdom of Bahrain. Our mission is to be a world class provider of superior quality IT products along with innovative local services through long term partnerships with global IT market leaders. The strength of iWorld connect is the successful implementation of specialized projects and professional services. These constitute to Hardware Infrastructure including ICT Infrastructure Solutions, Cloud Infrastructure Deployment, ICT Resource Consolidation Solutions, Data Management Solutions, Disaster Recovery Solutions, Microsoft Infrastructure Deployment, Linux deployments and Apple & Adobe Solutions. A leading and reliable System Integrator operating in Bahrain for last three decades. Financially sound and stable organization, Group Company of Almoayyed Conglomerate. Managed multiple large & complex ICT projects. Diversified trained and certified engineering resources. All engineering resources are based in Bahrain. Skilled in-house resources capable of deploying products. Capable team to provide 24×7 mission critical SLA support services.